Unlike other dealerships, we don't need to try to find financing for you by shopping your credit application out to a bunch of anonymous banks, and then waiting for those banks to get back to us. At Easton Motors, we finance 99% of our used car sales by ourselves, with what’s known as in-house auto financing. That means we don't hand off your loan application to a bank like other car dealerships do… we are the bank, and that means we get to make the decision about whose loan is approved. That’s one of the many ways that we think we’re a little different than a lot of other used car dealerships, and—we hope—this makes it a little easier for our customers, too. In most cases, people know within an hour or less whether or not we can help them. We’re a Beaver Dam used car dealership and bad credit finance center, and we know you have a lot of options in the area when it comes to picking out your next used car and getting auto financing. That’s why we try to make our finance process and website navigation as easy as possible to use, from the way we order our vehicle inventory, to our mobile-friendly credit form, it’s our goal to get you the information and resources you need in order to make a wise, and informed, purchase. Easton Motors of Beaver Dam is used car dealer for drivers from diverse locations as Appleton, Sun Prairie, and Fond Du Lac, so even if you’re not from Beaver Dam, we can still help you get into a great vehicle. In addition to our massive used car inventory (over 250 vehicles to choose from if you have bad credit!) we specialize in financing drivers with bad credit, poor credit, and no credit. If you’ve been burned by other dealerships who have promised to finance your bad credit, but turn their back on you, know that at Easton Motors, we finance your future—not your past. We’ll work with you to put together a car loan that will help you establish or re-establish healthy credit behavior, and get you back on the road to fiscal recovery. We're a local Portage, Wisconsin used car dealer and bad credit finance center that specializes in helping drivers with bad credit, and no credit, get a car and the cash to finance it. Unlike other Buy Here Pay Here dealerships, or traditional car dealers, we do two unique things that help us stand out in a crowded field of automotive shops in Wisconsin. • First, we sell better cars. Period. If you've visited other Buy Here Pay Here lots and been underwhelmed with their inventory, there's a reason why-it's cheaper for them to offer you junk. And we think that's just not right. That's why we stock only the best vehicles we can find, including trucks, and SUVs, so that you can drive away in something to be proud of. In fact, we offer Prime Vehicles for our best qualifying guests, and our entire inventory comes warranty-backed. • Second, we don't shop your loan around. Our in-house auto financing means that we fund you directly for the purchase of your vehicle. We don't have to ask others for permission to get you financed-in fact, if you have all your paperwork in order, and have been pre-approved for a loan, you can come in to our dealership and drive away in a new car all on the same day. 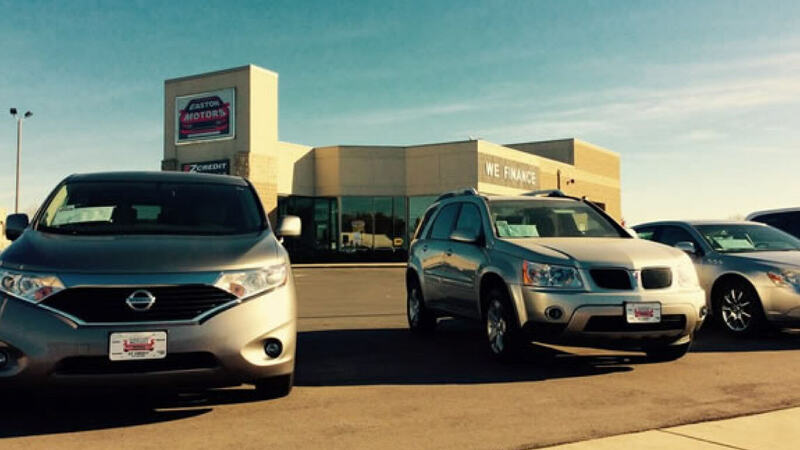 Easton Motors of Portage says “Yes!” when other dealers can't finance you for a car loan. We work with all sorts of bad credit situations, and will do our best to get you into a great vehicle that will help you rebuild or establish your credit. Use this page if you're coming to us from Madison, Janesville, Fitchburg, Wisconsin or the surrounding region, including but not limited to Wisconsin Dells, and beyond. Located just east of La Crosse, Wisconsin, we're your local used car and truck dealer specializing in getting drivers with bad credit affordable car loans. We've helped hundreds of drivers get financed despite repossessions, bankruptcies, and just plain bad credit, and we hope we can help you out, too. We take our responsibility as a subprime credit lender seriously, and we're grateful to everyone who comes to us for automotive financing. Just because you have bad credit, doesn't mean you shouldn't have safe, reliable transportation that you enjoy driving. At Easton Motors of West Salem, we learn about you and your needs without pushing a sales agenda, and we'll take as much time as need be to make sure you're getting a car you love, and can afford - even if that means waiting a month or two before you're financially able to support your car payment, in addition to your other financial obligations. 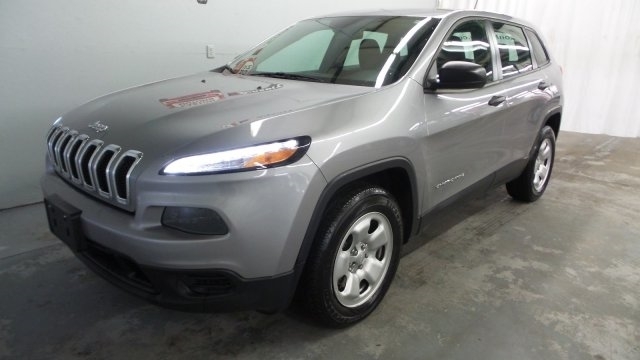 We believe that you deserve to be proud of the vehicle you drive, which is why we offer late-model, low-mileage trucks, SUVs, cars, vans, and hybrids, and even have a special selection of Prime Vehicles to choose from. If you're serious about getting a car loan, please fill out our credit application that's great for both mobile phones and desktop use. After completing your application, someone from our West Salem branch will reach out to you to set an appointment, review our finance program, and pick out a vehicle. Thanks for dropping by our dealership page, and feel free to read up on Easton Motors of West Salem if you'd like to get to know us a little bit more.